Harry Pangemanan, one of the Indonesian Christians who sought sanctuary at the Reformed Church of Highland Park. The feds have told the immigrants they can leave the church without facing detention. 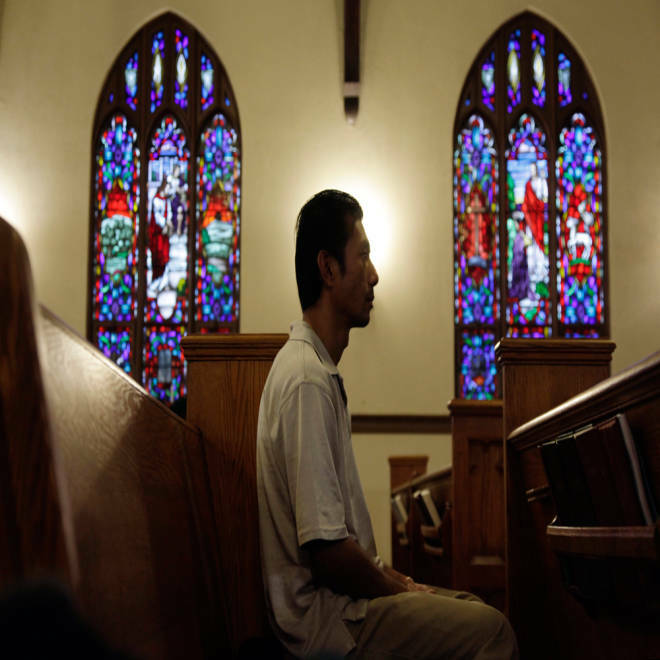 Eight Indonesian immigrants who spent months holed up in a New Jersey church to avoid deportation have been told they're free to walk the streets again. Immigration and Customs Enforcement said in a statement that it has placed the six men and two women on "order of supervision" -- which means they can be out in the community without worrying that agents will swoop down and place them in detention. 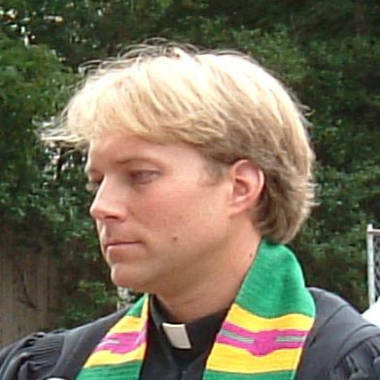 Pastor Seth Kaper-Dale of the Reformed Church of Highland Park in New Jersey. Deportation orders signed by a judge are still in effect, but as long as the immigrants check in with the feds periodically, they don't have to worry about them being enforced -- for now, anyway. "Absolute relief!" said Pastor Seth Kaper-Dale of the Reformed Church of Highland Park. "As you can imagine, church on Sunday was a gigantic celebration." The church started giving sanctuary to some of its Indonesian parishioners nearly a year ago. At one point, nine were camping out in Sunday school classrooms. Hairdressers and doctors made house calls so the "immigration fugitives," as ICE calls them, did not have to set foot off the property, where they could be arrested, the New York Daily News reported. "The threat was real," Kaper-Dale said. One immigrant who lived at the church for eight months left to drive his wife to work in October and was tailed and detained by federal agents two blocks away, Kaper-Dale said. Later that day, however, they released him and put his deportation on hold while his wife's asylum bid is pending. The immigrants say they left Indonesia years ago because they feared being persecuted for their Christian faith. They overstayed their tourist visas and missed deadlines to apply for asylum. After a hands-off approach, ICE made them a priority and began cracking down on them last year. "The whole thing has been so horrendous," Kaper-Dale said, but noted that the reprieve is a temporary fix. He said church members are hoping that two bills that would give the Indonesians another shot at applying for asylum, which were reintroduced in Congress last week, will be passed this year to provide a permanent solution.